Bluetooth is well suited to IoT because of its low-power capability and its inclusion in smartphones and many other devices. But its reach has been limited to the practical range of a Bluetooth radio, about 30 meters, because it needs to organize itself in hub-and-spoke networks. Other energy-sipping networks, such as ZigBee and 6LoWPAN, can already form wider networks just by linking client devices together. Meshes mean that connected things such as thermostats and lights can communicate without going through a nearby PC or dedicated hub device, so networks are easier and less expensive to build. That’s a key capability that led the Thread Group, the IoT networking alliance formed by Google’s Nest group and other heavy hitters, to turn to 6LoWPAN even though that technology is less widely available than Bluetooth. Thread devices will be able to automatically form their own networks, the group says. The Bluetooth Special Interest Group, as expected, is now trying to get in on the mesh game. On Tuesday, it announced the formation of the Bluetooth Smart Mesh Working Group to develop a mesh feature that could start showing up in products next year. That wouldn’t be too late for Bluetooth to become the network of choice in home IoT products, said Peter Jarich, an analyst at Current Analysis. Most consumers don’t even know yet why they would want IoT. “I doubt you’re going to see the market take off so much this year that it’s going to drive one technology versus another,” Jarich said. The new capability is intended mostly for products that use Bluetooth Smart, the low-power version of the standard that can run for years on the equivalent of a watch battery. It’s those devices, such as sensors and light bulbs, that would gain the most from mesh networking. It’s likely that most devices with Bluetooth Smart that are already in use will be software-upgradable for mesh, said Errett Kroeter, senior director of marketing at the Bluetooth SIG. In addition to linking devices and appliances around a home, Bluetooth meshes could be used in for industrial, automotive and mobile applications, the SIG said. Those could include asset tracking, security and heating and cooling control. It’s likely that thousands of devices could participate in a Bluetooth mesh, Kroeter said. 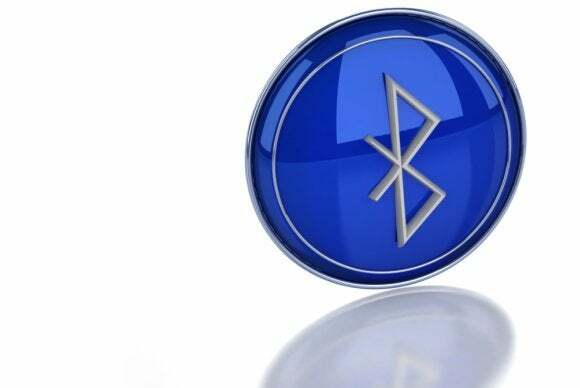 Bluetooth vendors seem anxious to start meshing: more than 80 companies have volunteered to serve in the new working group, one of the biggest turnouts of any such group in Bluetooth’s history, according to the SIG. Chip maker CSR has already implemented its own form of mesh networking, called CSRmesh, for Bluetooth Smart devices for home automation and other areas. Qualcomm agreed to buy CSR for $2.5 billion last October.